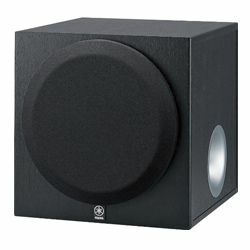 Dayton SUB-1200 or BIC America F12 - what is the best option for your setup and why? These two subwoofers can shake your house providing you with clear and deep bass. Both models are built well, using different techniques to avoid any noises or resonance. 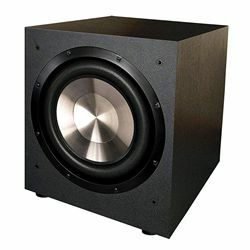 These two subwoofers have many common features. For example, they have many parameters that can be adjusted, like control, crossover, etc. Another great common feature is the auto on/off. 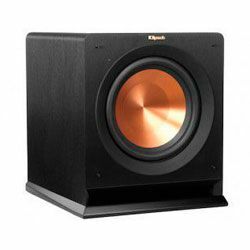 You should not worry if you have turned the subwoofer off since it will do it automatically (it uses the signal that comes from other devices, like a receiver). It is especially useful if you have placed the subwoofer in a place that is hard to reach since many models have the power switch on the back. One of the main parameters that we need to compare is the power and that is the place where we can see the difference – 120 W Dayton audio sub-1200 vs BIC F12 that produces 150 W continuous or 475 W of the dynamic peak power. In any case, both solutions would be perfect for middle or even large areas. The main advantage of BIC America F12 is that it is very powerful. Plus the BIC company used different technologies, including proprietary ones to avoid any noises, which in the end provides us with deep and clear bass. Moreover, it has gold plated terminals that can help avoid any noises produced by connectors. However, the disadvantage of this model is that it may start shaking if the volume is too high. The main advantage of Dayton Audio SUB-1200 is that it has many parameters to be adjusted, which makes this device very flexible. Nevertheless, its main disadvantage is that it has poor performance on low-end tones. Therefore, if you need to choose between BIC America F12 vs Dayton audio SUB-1200 then you should understand if you need a powerful device. It is a powerful BIC versus Dayton that is not that powerful, but it still produces great bass sound. Another important factor is that BIC is magnetically shielded, which means you can place any devices near it without worrying about them. Do not ignore the price as well – Dayton is cheaper, and it performs well. This model is built using the patented BIC technology that allows eliminating vent port noises. It has a 12-inch long throw woofer powered by the BASH designed amplifier. It also has inputs for Dolby Pro, Dolby Digital, and DTS. The gold plated terminals help avoid any noises. Magnetic shielding. It will not affect any devices located nearby. It may start vibrating if you set the volume high enough. You may need to crank the volume high up to start getting the sound you want. The downward-firing flared port design assures deep and clean bass. This design also makes the bass more responsive. It features a 12-inch throw woofer. The amplifier has high/ low-level inputs and high-level outputs. The auto on/off feature (depends on an input signal from a receiver or other device you use). Phase switch and volume control let you control the most important parameters. A variable low pass filter that allows perfect blending with other speakers. It is quite big and heavy – 46 pounds. Poor performance on low-end tones (30 Hz).